BMW X3 xDrive30d M Sport, the sporty edition of the BMW X3, has been launched in India today at a price of around Rs 60 lakhs ex-showroom, Delhi. The BMW X3 is a compact luxury crossover SUV manufactured by German automaker since 2003. Based on the BMW 3 Series platform, and now in its second generation, BMW markets the crossover as a Sports Activity Vehicle (X series). “The M Sport package reinforces the agile character and dynamic presence of the BMW X3 even more prominently,” the company said. Exterior features include the M Aerodynamic package, a choice of six individual exterior colours including exclusive Carbon Black metallic, M light alloy wheels and BMW Individual High-Gloss Shadow Line with design elements in high-gloss Black. The interior elements comprise sport seats for driver, M leather steering wheel and BMW Individual headliner anthracite for a sporty ambience. The new model variant, BMW X3 30d is locally produced at the BMW Plant Chennai and is now available at BMW dealers across India. “The BMW X3 is built for both the small and big challenges that each day brings. The new BMW X3 xDrive 30d M Sport with a perfect blend of sporting character, impressive performance and appealing design makes every journey an unforgettable experience whether on the way to work or on the weekend,” said Philipp von Sahr, President, BMW Group India. 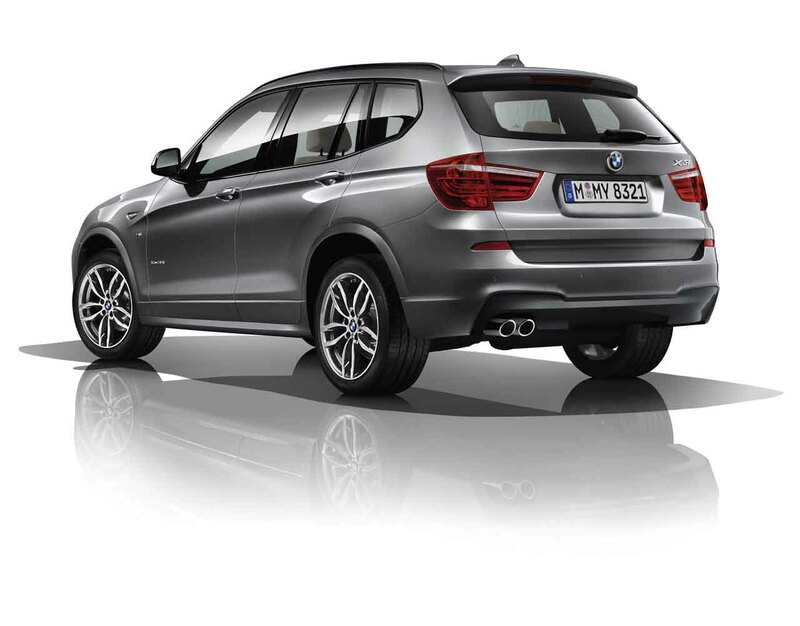 The BMW X3 is now available in two engine variants: BMW X3 xDrive 30d and BMW X3 xDrive 20d. 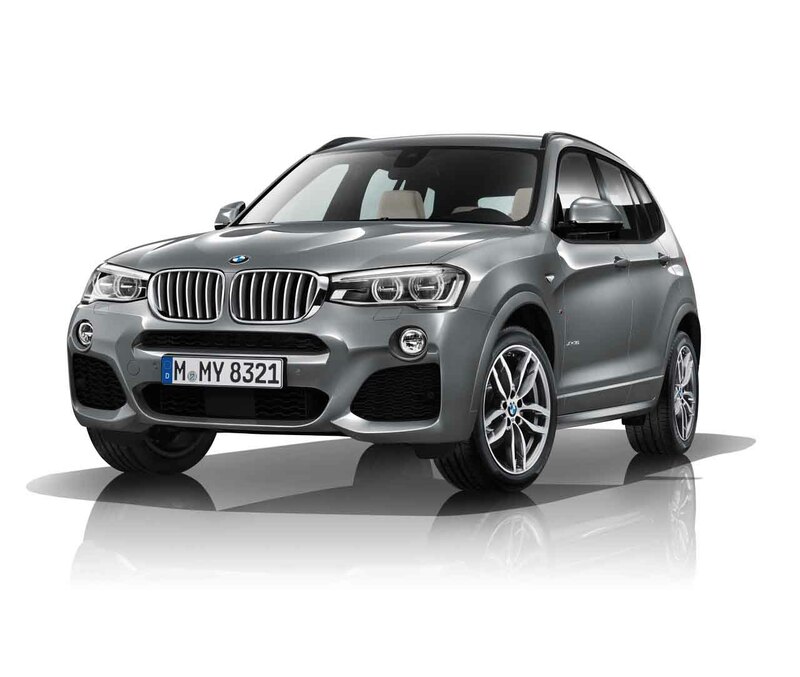 The new BMW X3 xDrive30d M Sport is available at Delhi ex-showroom price of INR 59,90,000. The 2015 BMW X3 xDrive30d M Sport is available in Alpine White as non-metallic paintwork and in five metallic paint : Glacier Silver, Black Sapphire, Space Grey, Melbourne Red and Carbon Black. The upholstery is a cloth/leather combination ‘Pearlpoint’ Anthracite in Black. Interior trim offered is Fine-wood Trim ‘Fineline’ Anthracite with highlight trim finishers Pearl Chrome with embellishers for instrument panel Black high-gloss. The new M Sport design package lends the new BMW X3 xDrive30d M Sport a distinct personality, making it look even more robust and muscular. The M Aerodynamic package with front and rear bumpers in the body colour, the diffuser insert in Dark Shadow metallic and side sills with additional lighting edge maximise the car’s presence on the road. The sill covers, wheel arch trim and door trim are in the body colour. The sporty appearance is further rounded out by the characteristic “M” logo on the sides and the BMW Individual High-Gloss Shadow Line with trim strips, side frames, window recess finishers and exterior mirror base and frame in high-gloss Black. The M Sport package interior creates a dynamic and exclusive ambience: sport seats for driver and passenger in cloth/leather upholstery Pearlpoint Anthracite offer perfect lateral support and great comfort. The sporty-dynamic appearance is apparent in the whole car, from the multifunction M leather steering wheel, to the BMW Individual headliner in Anthracite and the M door sill finishers. Another attraction is the Panorama glass roof which provides a perfect view of everything the day has in store. The new BMW X3 xDrive30d M Sport is powered by further developed three-litre six-cylinder in-line diesel engine with outstanding performance and low fuel consumption. The engine develops 190 kW / 258 hp with the maximum torque of 560 Nm. The increase in performance cuts the vehicle’s 0 to 100 km/h acceleration to just 5.9 seconds with a top speed of 232 km/h. The eight-speed Steptronic Sport automatic transmission with Cruise Control provides higher shifting and driving comfort through finely tuned gearing and seamless gear changes. At any time, in any gear, the transmission collaborates perfectly with the engine, enabling it to develop its full power and efficiency. The new BMW X3 xDrive30d M Sport also features the BMW Driving Experience Control switch, which enables the driver to choose between different driving modes to suit the driving conditions. (Comfort, ECO PRO, Sport and Sport+). The outstanding new features from BMW ConnectedDrive on board the new BMW X3 xDrive 30d M Sport include the next generation of BMW iDrive (the on-board Driver Information System) with touch controller, BMW Navigation Professional (integrated Global Positioning System – GPS) with 25.9 cm colour display with 3D maps, high-end Surround Sound system from Harman Kardon and Connectivity through Bluetooth and USB devices. Park Distance Control (PDC) rear and front along with rear view camera come as standard features.